Hotel Su Lithu is the perfect choice for a romantic getaway for couples or as a base to explore this historical area. Perched above the small town of Bitti and lovingly run by the Giovanetti family, Hotel Su Lithu offers excellent comfort, personal service and attention to detail, with the emphasis on a traditional and quality way of life. The 15 spacious rooms are well equipped, elegantly furnished and all enjoy pleasant views out over the valley or the surrounding park. We suggest you try the hotel’s restaurant – you will be delighted by the fine cuisine using fresh flavoured local produce coming directly from the family’s farm at Sa Preta Ruia, which you can also visit. If you wish to explore further afield, the hotel can arrange excursions to nearby archaeological sites or other places of interest. The area is rich in history and ancient culture yet still remaining so serene and unspoilt. Hotel Su Lithu is a character hotel and the ideal stopover for a touring holiday around the island. Swimming pool, restaurant, bar. Payable locally: excursions. En-suite facilities, hairdryer, safe, air-conditioning, telephone, satellite television, minibar, Wi-Fi. All rooms are traditionally furnished in a typical Sardinian style with antique furniture, local fabrics and wooden beams. 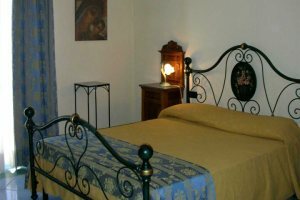 All rooms are traditionally furnished in a typical Sardinian style with antique furniture, local fabrics and wooden beams. Standard Panorama rooms enjoy panoramic views across the village and valley beyond. 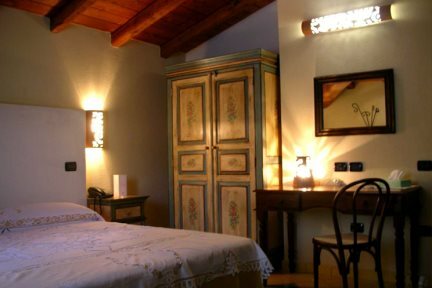 All rooms are traditionally furnished in a typical Sardinian style with antique furniture, local fabrics and wooden beams. 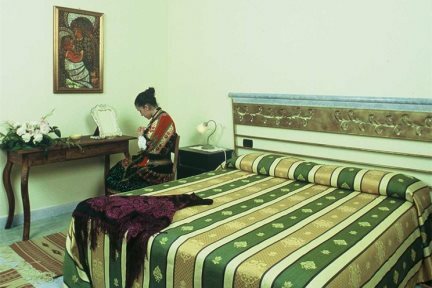 Superior rooms are the largest room in the hotel. In the heart of Sardinia, Bitti is a small but characteristic town with a couple of bars and restaurants. Set 565 metres above sea level the town is surrounded by unspoilt beauty and breathtaking scenery. Bitti is also famous for its traditional four-part male harmonies. Surrounded by vineyards, olive groves and almond orchards, Oliena is a picturesque town with quaint streets and a 15th century church. One of the deepest and most spectacular in Southern Europe. It is also the highlight of one of Sardinia's best walks.